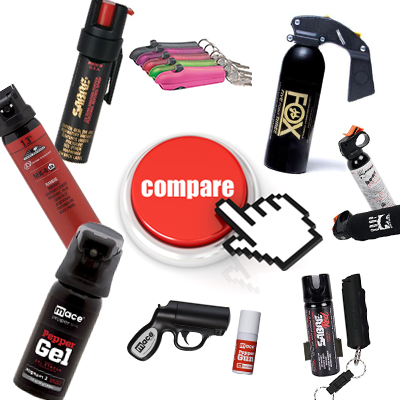 Bear spray is a higher strength and more powerful form of pepper spray. 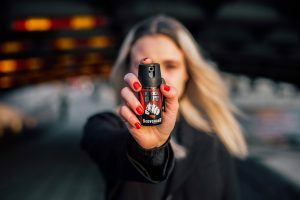 These products offer a much larger capacity than most pepper sprays designed for use against humans. 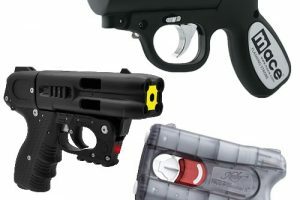 In addition to the high capacity, they offer a much further range, which allows a safe distance between you and the bear. The following items are the top products on the market that are specifically designed to ward off bears. 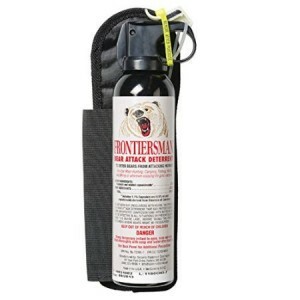 Frontiersman Bear Spray has a three year shelf life, and features the highest strength spray allowed by the EPA and Health Canada. 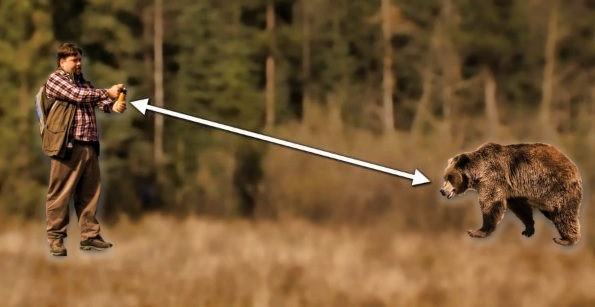 It offers a 35 foot range that provides safe distance between you and the attacking bear. The included hip holster allows for quick access and the safety feature glows in the dark. 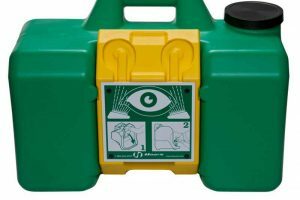 The spray pattern is a heavy fog that allows maximum coverage with minimal effort from you. Check out more information here. 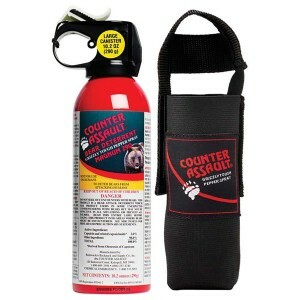 Counter Assault is another well-respected brand on the market. Their 10.2 oz can offers distance coverage from 12–32 feet. 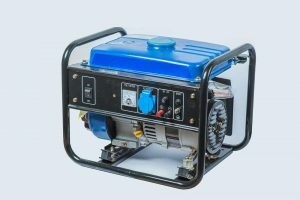 The capacity will provide roughly nine seconds of continuous spray. 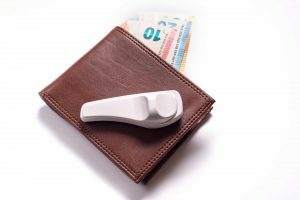 This is one of our top picks due to countless positive customer testimonials. Check out Counter Assault’s website here. 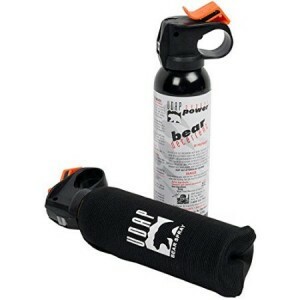 UDAP 12HP Bear Spray is one of the strongest bear sprays on the market, boasting a 2% CRC rating. 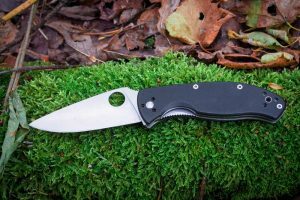 This product was designed by a bear spray attack survivor and is extremely effective. You will get a 30 foot range from this product and it features a glowing safety clip with an attached chain so you do not lose it. This spray also includes a helpful 32 page UDAP Bear Safety Tips booklet to further inform you on bear attack safety. A Bear Bell is just an additional and affordable safety measure if you are going to be in an area that is heavily populated with bears. 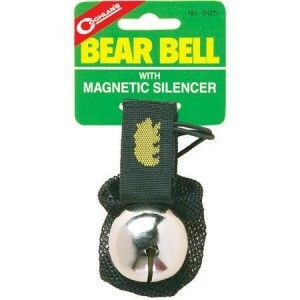 This product features a Velcro strap and a silencer if you do not want the bell to sound. Movement will create a steady ringing noise to warn nearby animals of your presence. 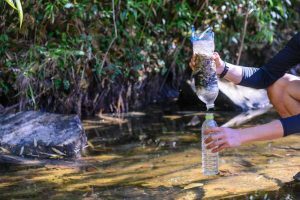 The formula used for bear spray usually contains a higher percentage of active ingredients like oleoresin capsicum. If you look closely at the label, you will see “bear spray” or “bear mace” listed — this is a requirement for manufacturers to let you know it has higher contents of active ingredients. These products should only be used if the bear is threatening your life — do not provoke a bear that may not be a threat. If the bear is approaching you, try to keep a distance of about 25 feet and spray the bear for about five to six seconds. Once you have sprayed the bear, review the situation. Try to distance yourself and find safety immediately. If the bear continues to approach you, spray again. If you are wounded, make sure to seek medical attention. Studies show that if a bear is exposed to a spray, over 90% of the time they will retreat, giving you enough time to find safety. 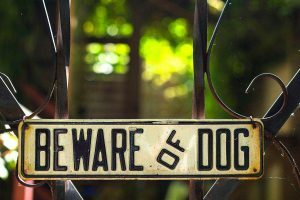 There are many factors that play into these situations, so the results may vary. 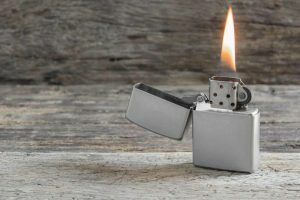 We have listed some additional tips below to offer you the best chance of survival. Yes, bear spray shelf-life usually ranges two to four years from the manufactured date. This is due to the aerosol in the canister losing pressure over time. To ensure you are always protected, notate the manufacture date and mark the expiration on your calendar. 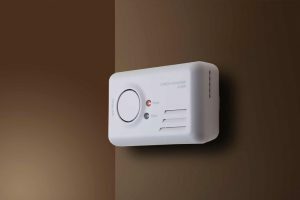 Properly dispose of the old unit and purchase a new one, you don’t want to risk using expired spray. 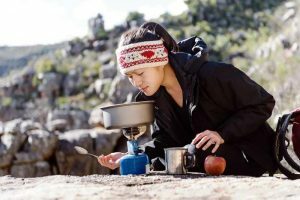 When Can Bear Spray be Helpful? 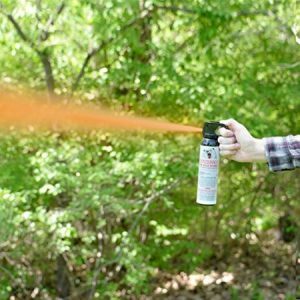 Be the first to comment on "Bear Spray – Self-Defense Against Bear Attacks"